It would be the easiest thing in the world for me to pile on to the “he should resign “top heavy bandwagon. But I’m not taking that leap, at least not just yet. The “he” is Virginia Governor Ralph Northam who has stoked the fury of just about every name Democratic Party politician on the planet when the purported photo of him in the Eastern Virginia Medical School Medical yearbook suddenly popped up showing an aged 20 something Northam in either a KKK hooded costume or in blackface. The story since has gotten even more muddled with Northam backpedaling after the storm broke and claiming it’s not him. At first glance, as the top Democrats that call for his political head loudly say, the photos if its him or even if they aren’t him his walk back from them, is an absolute unpardonable, racially indictable offense. Normally, they’d be right. Northam for his part says he’s not going anywhere. But there are some things about the Northam case that give pause and suggest that he may be right to hang tough for the moment. One is Northam’s record. Yes, he’s a former Republican who voted twice for Bush. But he seems to have had a sincere somewhat of a political epiphany when he switched political reels and ran as, and won, the Virginia governorship as a Democrat. And since so many Virginia Republicans are now smugly, self-righteously, and very hypocritically getting on their high horse and demanding he resign, I have to even a little more suspicious. His positions on the issues have been moderately enlightened. He wants to expand Medicaid, tougher gun control regulations, pro choice on abortion, and made some cautious utterances about combatting poverty and wealth inequality. Now to the race and blackface question him or not. It’s not just that the alleged racist slander happened decades ago in his youthful days. That alone would give some pause. There’s no record that Northam has said or done anything that would hint of any latent closet KKKerism in his DNA. That can’t be said for the likes of GOP loudmouths such as Iowa Congressman Steve King who never saw a racial slur, dig or crack that he didn’t like. The same can’t be said for Trump who rocket launched himself to the front of the GOP presidential pack with his naked, blatant Obama and race baiting. He has shown no sign of slowing down on this. Then there’s Northam’s initial apology. He seemed to get it. He seemed to understand that what may have been regarded as a brain-dead school boy prank three decades plus ago was then and is now shameful, disgraceful racially offensive and demeaning, that panders to the vilest racist stereotypes and violence against blacks. His apology and atonement for that is the starting point for his action. This flips the vile act on its head and makes it yet another teaching moment on race and racism, and the hurt it causes to victims and perpetrators. It’s a teaching moment for legions of others who thought it funny, cute, and even chic to horse around in blackface and Klan paraphernalia with no regard for the despicable racist history behind both. Yeah, it’s the easy, and seemingly racially correct, thing to join the chorus and denounce Northam as an unreconstructed bigot and call for his scalp. The far more difficult thing to do is understand that a properly chastised, shamed and embarrassed Northam can continue to do political good in office. In this case, maybe, just maybe, then an apology at least for now is enough. Earl Ofari Hutchinson is an author and political analyst. 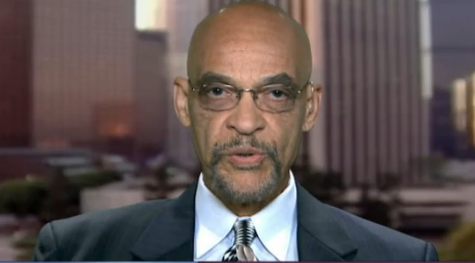 He is the author of How Obama Won (Middle Passage Press) He is a weekly co-host of the Al Sharpton Show on Radio One. He is the host of the weekly Hutchinson Report on KPFK 90.7 FM Los Angeles and the Pacifica Network. The politics of rushed denouncement is both facile and destructive. Thank you for presenting the hope that every human has the capacity to evolve.